Motorcycle enthusiasts the world over have always talked of designing the ultimate “Super” bike. 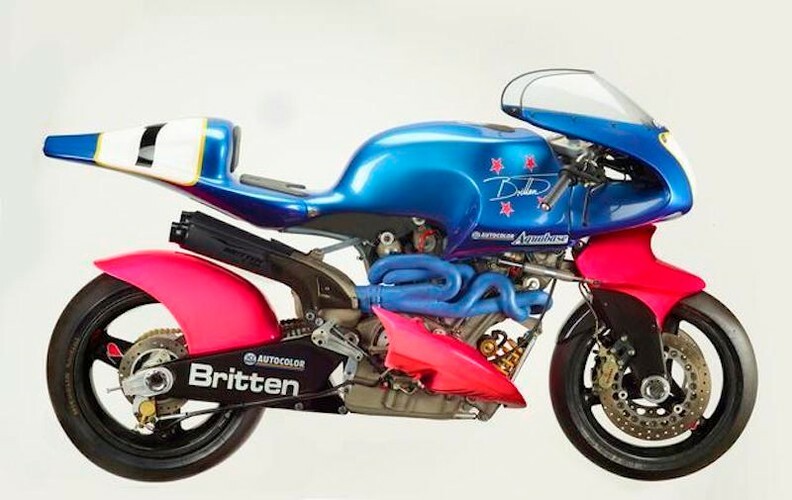 New Zealander John Britten did more than talk about it. He went ahead and built it – at home and by hand! This is his amazing true story. From the backyard workshop to the screaming action of Daytona and the Isle of Mann, this fascinating video captures all the drama – the dreams and the nightmares, the triumphs and the tragedies. It is the legend of the man from "Down Under" who dared to challenge the might and wisdom of the world’s great motorcycle production factories and captured a nations imagination en route. And it is the tale of the revolutionary bike that confounded the critics and took the world by storm.